Gerard began his career in 1992 with Procter & Gamble as a packaging development engineer. He spent most of his career at Johnson & Johnson working in Supply Chain, Operations, Sourcing and his last role was worldwide director of Manufacturing Excellence. At J&J he obtained his MBB and Lean Master accreditation. In 2009 Gerard joined Maersk’s Container terminal division (APM terminals) as their Head of Process excellence and asset management for Europe & North Africa. 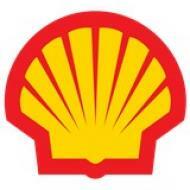 In 2014 he joined Shell as CI coach, where he is deployment lead for CI in Shell Chemicals. In this capacity he is coaching senior leaders to adopt the CI ways of working to deliver value to the organisation. 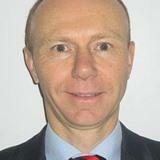 He is also an active member of Lean & Six Sigma Netherlands. Will the digital transformation wipe out our roles? How will I stay relevant? Is Lean still the main methodology or is OPEX focusing on other tools to help create the business of the future?